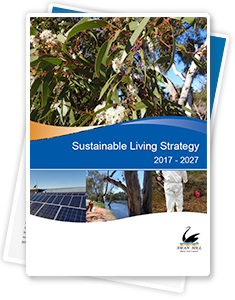 Swan Hill Rural City Council’s Sustainable Living Strategy sets out the direction and objectives over the next 10 years (2017-2027), complimented by four-yearly action plans to achieve the municipality’s sustainability goals and aspirations. The strategy focuses on Council promoting the role that the environment plays in increasing the local economy and quality of life. 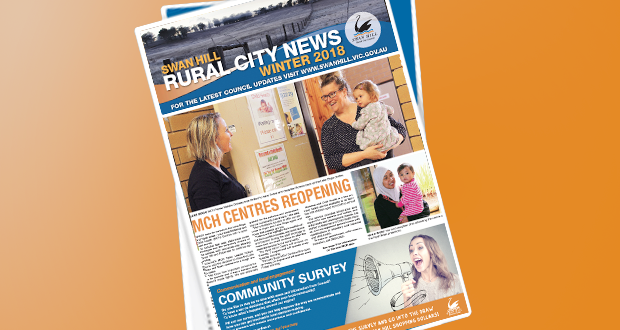 Swan Hill Rural City Council’s Sustainable Living Strategy sets out the direction and objectives over the next 10 years (2017-2027), complimented by four-yearly action plans to achieve the municipality’s sustainability goals and aspirations. The strategy focuses on Council promoting the role that the environment plays in increasing the local economy and quality of life. By providing an overarching framework that brings together existing programs, it also incorporates new advances in environmental management and community driven sustainability solutions, while identifying new issues, gaps and priorities for the community. In facing these challenges, Council is committed to leading by example and encouraging community participation in sustainability programs. This will include facilitating a partnership between Council and the community to develop and implement relevant and timely actions, resulting in the achievement of indentified sustainability goals within state, regional and local planning contexts. To achieve these sustainability goals a high importance will be placed on developing and maintaining valuable and lasting partnerships with all communities and key strategic stakeholders in order to achieve each key strategic objective through its identified actions. The community will play an important role in the evaluation of actions achieved by providing important feedback through existing community planning groups and the development of Community Action Plans. Today, Thu, 18 Apr 2019 is not currently a day of Total Fire Ban in the Mallee fire district.